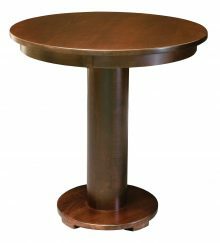 Our solid wood Pub Tables are perfect for smaller dining rooms or kitchens where floor space is at a premium. They also work well as a game table or as an intimate family gathering place. 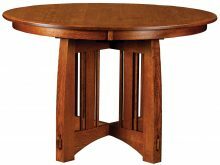 With so many attractive styles, shapes and sizes to choose from, youll have no trouble finding the right table for your home. Many tables also include additional features such as drop leaves and drawers that increase their versatility and functionality. 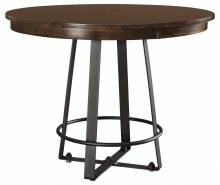 Do you want your pub table in the entryway? 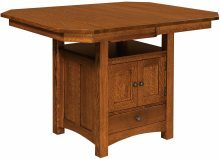 Then you may prefer one of our narrower solid wood pub table sets, such as the 30″ x 60″ Double Pedestal Pub Table in Oak, which can nestle off to the side in a hallway. Do you want something with storage? 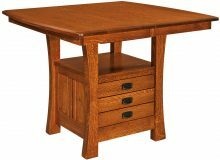 We have choices that are both practical and stylish, such as the 42” Arts & Crafts Cabinet Pub Table in Oak, which has three drawers for tucking things away. 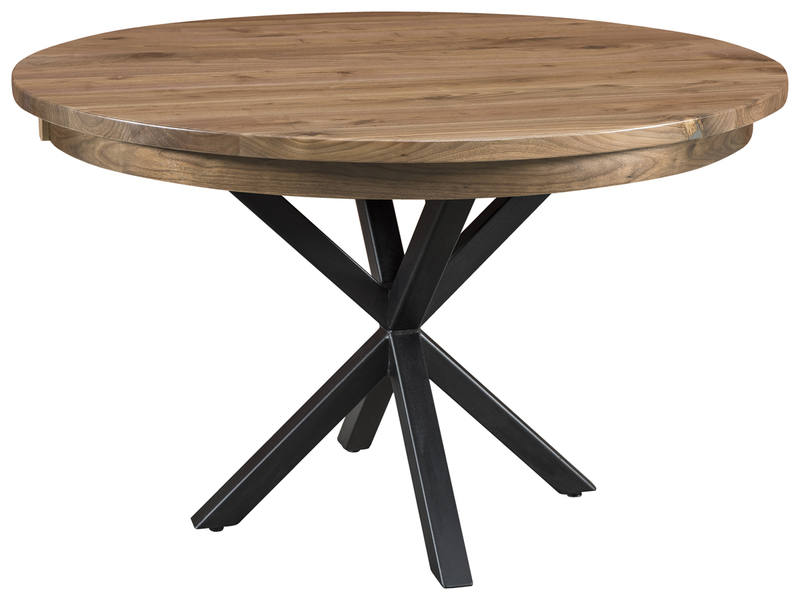 Do you prefer round or square tables? We have both available. 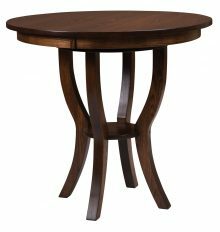 You may have always liked the look of round tables but realize a square one would fit better in your room. 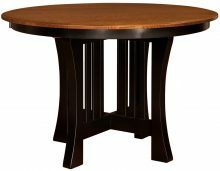 By offering many different versions of these tables, we can get you the one that best suits your room. We give all our customers the flexibility to modify the design of their furniture to suit their specific tastes. We recommend using the handy online design tool found on every product page to experiment with different hardwoods (choices can include oak, cherry, maple and many others) and gorgeous wood stains. Amish master crafters will then incorporate your choices to create a classic furniture piece that will enhance your homes décor and make quite an impression on your guests. Add a doily and flowers. Flowers freshen up any room, and the right color can really bring together different elements of an existing room. Choose a color that goes well with your walls and your table. Offset the flowers and vase with a homemade doily to protect the table. Place a fun element on the table top. Many room designs miss out on an element of fun. Just because you want your room to look nice doesn’t mean you need to take away its spirit. Add an eye-catcher such as an old-fashioned chessboard to play off your new Amish pub table’s wood grain and match other wood that’s already in the room. Try seat covers. If you feel your current seats are the wrong color to put near your new pub set, you can add seat covers to help them mesh better. You can even try sewing your own — they’re surprisingly simple if you can find a good tutorial online. You may even pick up an extra hobby in addition to getting new seat covers. Invest in a matching furniture set. Of course, the most obvious way to match décor to your new Amish round pub table is to buy a matching furniture set. 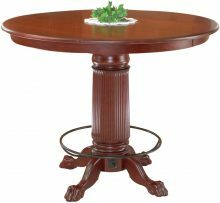 AmishOutletStore.com has many choices that mimic the exact hue and grain of your new table. When you match these together, you’ll get a room you’ll never want to leave. You also get a durable combination. Our solid Amish pub tables are sturdy enough to last for a very long time. Whether you have children, pets or you just plan to use the table a lot, it will stand up to sustained daily usage beautifully. Who doesnt want to save money when they buy furniture? We offer multiple ways for our customers to do just that. 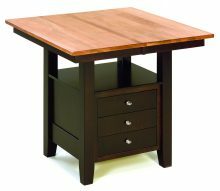 Order any pub table right now, and youll get as much as 33% off the regular retail price. You can also save up to an additional 13% by taking advantage of our large order discount and another 3% just for paying for your table by check. 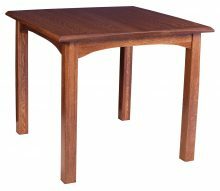 Please take a few minutes to explore our entire collection of solid wood Amish Pub Tables right now!